You’ve probably been told that WordPress is easy, but when you’ve tried to use it, it quickly overwhelmed you and you quickly shut it down and walked away. I hear this from clients all the time. Even the reasonably tech-savvy ones. 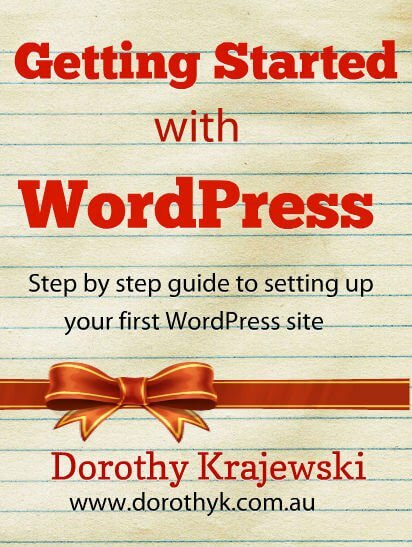 When I first looked at WordPress, it scared me, too. But I was willing to play and wasn’t afraid to break it, so I got stuck into it and now I am happy to call myself an expert. I created this easy step-by-step guide for complete WordPress novices, to remove all the confusion from starting a brand new site. Join my mailing list to get your free ebook. You have successfully subscribed. You will shortly receive an email with your digital download. Your details are safe with me. Promise.